Yay! 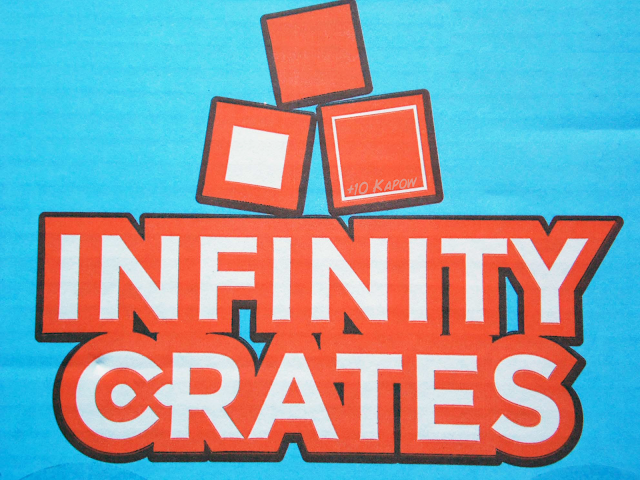 I finally have a good title pic for the Infinity Crates posts, this is a photo I took of the new box that Infinity Crates are using now. 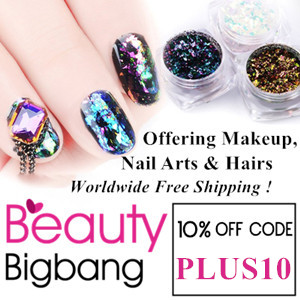 Previously, the goodies from them were sent out in plain brown packing boxes but this month marked the first month of the new and improved packaging and they look fab, very clean and professional. It did mean that the September crate was a little late because they were waiting for the boxes to arrive but it's great that they are gaining momentum now. Enough about the boxes, lets see what was in it this month! Ok, so I don't even know if there was a card in this months crate because I didn't get the chance to see it, I barely got the chance to take the photos. I'm starting with the small and working up to the biggest item here and yes, the Refreshers chews do warrant their own section because they were tasty and because I said so. 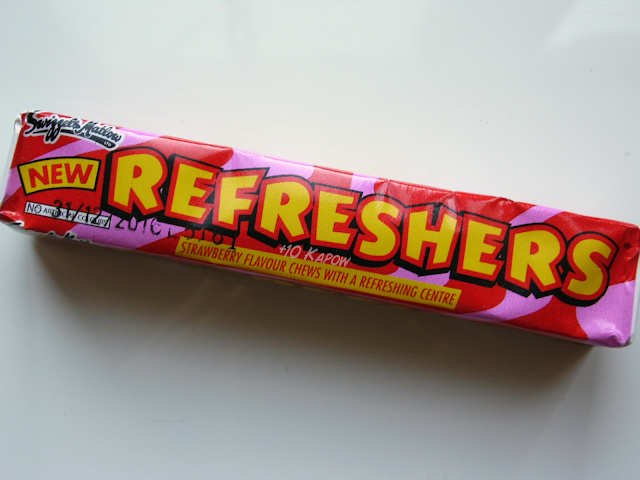 When I was growing up, Refreshers came in one shape, that rectangle kind of half bar, that was too tough to bite and too big to fit in your mouth whole but we all tried because they were so tasty. Having them in Chewits style sweets makes it all the easier to enjoy. Plus, sweets, who doesn't love sweets? Superhero anything is a win, Ki did ask if this meant that he was going to get a pin badge every month like we do in the Loot Crate, it would be a nice touch if he did but I'm not sure that is the case, the badge has already gone onto his bag strap just like mine. The magnet is a good size and has a sturdy magnet on it. Luckily Ki has a magnet board in his room where he puts all his certificates and stuff so this can go on there. 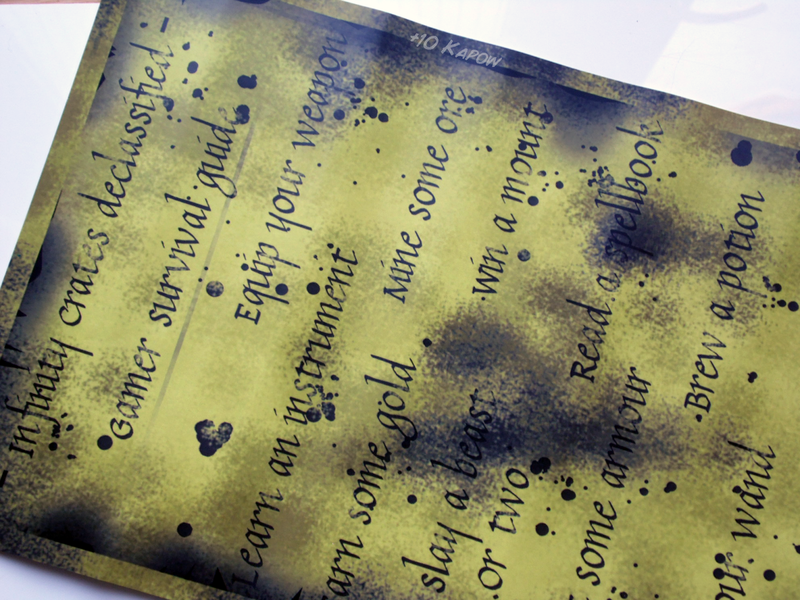 This is a cool poster and loads of the things listed apply to Minecraft, which means they apply to Ki so he is really happy with it. It's a good quality glossy poster. 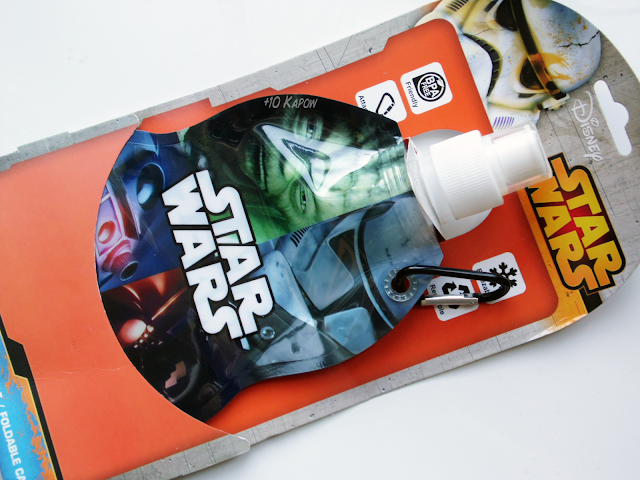 Star Wars item ftw! We have seen these foldable bottles in the shops and although we have never bought one, they kind of looked cool. Ki goes on jaunts aplenty with Nan and Grandad and this bottle will be perfect to take with him on outings and trips and it has a carabiner clip on it so he can hook it to his trousers or bag and NEVER LOSE IT! EVER! Unlike the hundreds upon hundreds of other bottles we have bought. So yeah, good item. 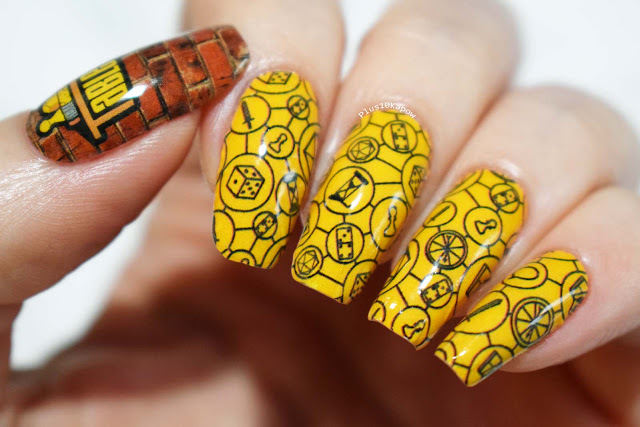 *heavy breathing* This is so awesome. Need I say anymore? This is pretty much the best one Ki has received yet. No I haven't pinched this one, I'm out of things that I would willingly trade, including money but he loves it too and that's what matters. Another awesome t-shirt in this months crate. 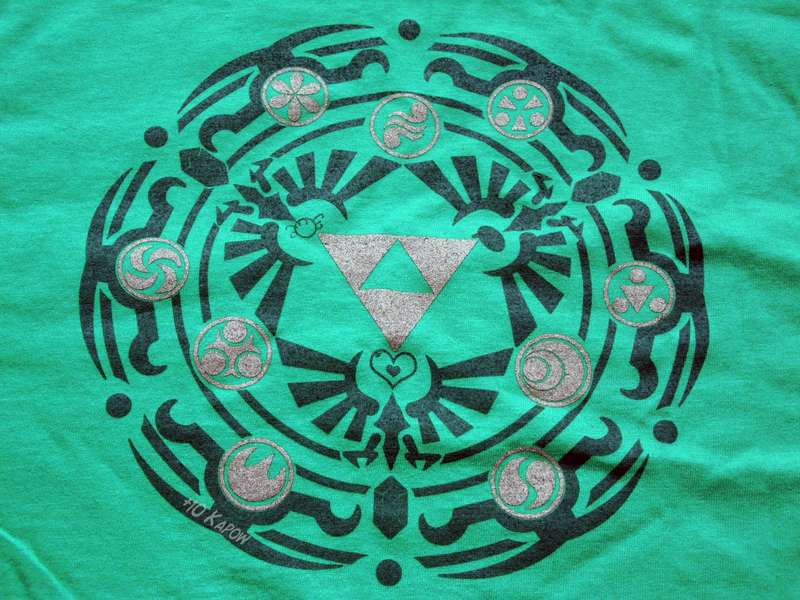 I would definitely wear this one if I had received it in my size and the green is bright and vibrant and the gold bits are kind of glittery. The t-shirt is fab quality too. Even though 3 of the items felt a bit filler like, I really like this months crate, the t-shirt and Funko were awesome and every item was something that Ki got excited about and that he would use. Value wise, the Funko and tee are worth more than what we paid for the crate and the other little bits just add a little extra value. 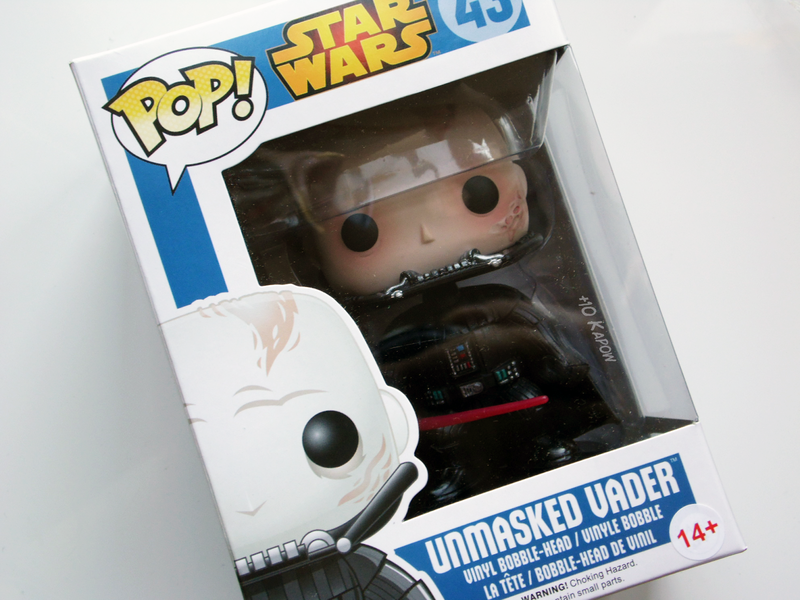 I based the tee price on the £8 they charge on Qwertee, you can find the Unmasked Vader Funko on Zavvi for £12.99 and the Star Wars foldable bottle on Amazon for £2.19. 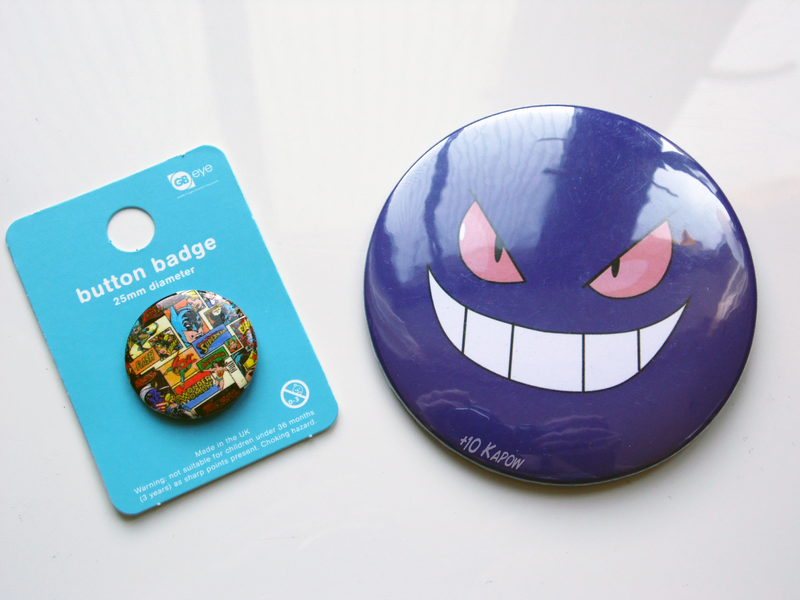 The badge and magnet are pretty standard and could be bought for around £1-£2 and the poster I would pay up to £5 for. Oh and the sweets are about £1 ish. That's over £20 worth of stuff and we pay £16.99 a month so it's pretty good value. The October theme is 'Warrior' which sounds like it could be interesting, if you would like to sign up you can do that here. 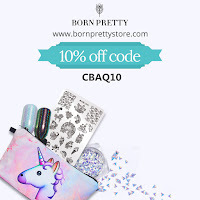 Don't forget, this is a UK based subscription and is free postage within the UK.